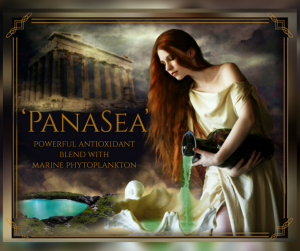 PanaSea with Marine Phytoplankton a unique blend of antioxidants! 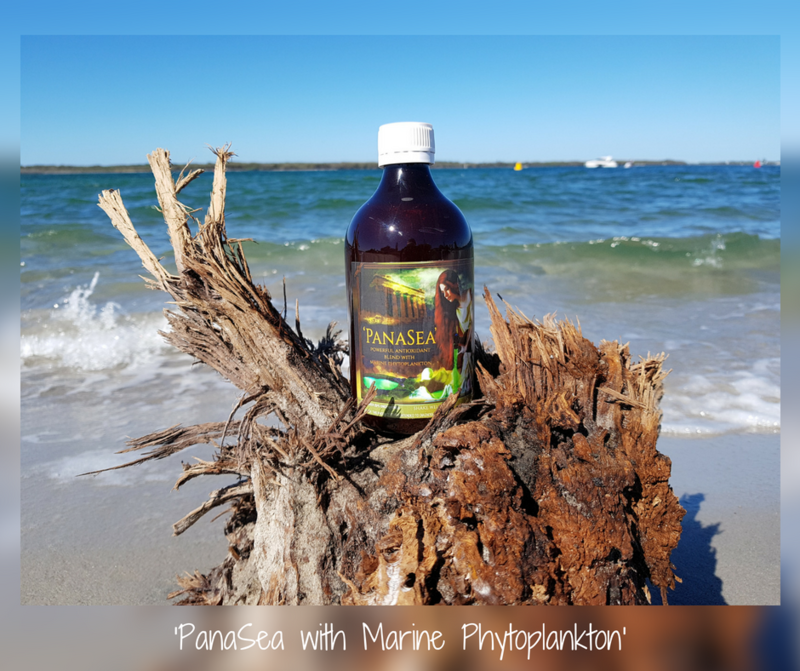 Australian Marine Phytoplankton – whole dried Dunaliella salina is an edible soft wall nutrient-dense marine microalgae made from 100% pure whole dried Dunaliella salina biomass. Dunaliella salina is renowned as being one of nature’s richest sources of dietary mixed carotenoids and contains a large array of important daily nutrients known to support good health and vitality. Dunaliella salina is a single-celled green microalgae (phytoplankton). It is a unique micro organism that lives in coastal waters, brine rock pools and salt water lakes. On a gram for gram basis, it is arguably the most concentrated, nutrient rich food source on earth. Under the right conditions, Dunaliella salina produces extremely high quantities of beta and alpha carotene, deep orange-red nutrient pigments. This combination of antioxidant nutrients, known as carotenoids, gives Dunaliella salina its distinctive orange-red-brown colour. Phytoplankton also has an alkaline pH. All living organisms and life forms on Earth depend on maintaining appropriate pH levels, and it’s often said that disease and disorder cannot take root in a body that has a balanced pH. 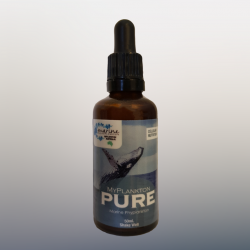 The benefits of marine phytoplankton is quite simply the fact that they are packed with vital nutrients and trace elements, not found in this concentrate in any other plant. Astaxanthin often dubbed the “king of carotenoids,” research shows that Astaxanthin is one of the most powerful antioxidants in nature. In fact, its ability to fight free radicals has been shown to be 6,000 times higher than vitamin C, 550 times higher than vitamin E and 40 times higher than beta-carotene. In the body, its antioxidant properties are believed to help protect against certain types of chronic disease, reverse skin aging and alleviate inflammation. Although studies in humans are limited, current research suggests that Astaxanthin benefits brain and heart health, endurance and energy levels, and even fertility. 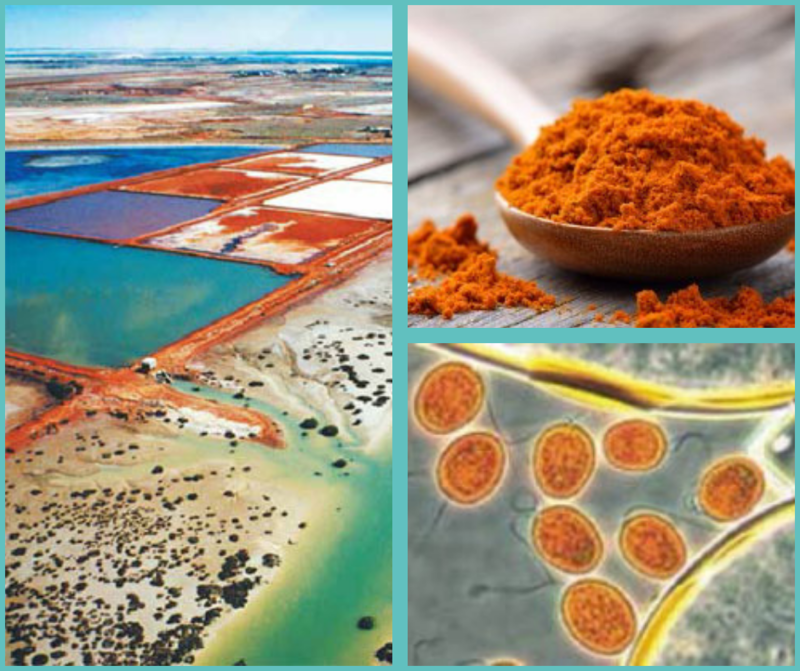 According to a 2009 review out of Australia, there have been at least eight clinical studies measuring the effects of Astaxanthin that have shown that Astaxanthin supplementation may lower markers of both inflammation and oxidative stress. Another review published in the journal Marine Drugs suggested that Astaxanthin could protect against atherosclerosis, which is the buildup of fat and cholesterol in the arteries. Of course, a healthy diet containing Astaxanthin is just one piece of the puzzle. Minimizing your stress levels, getting in plenty of physical activity and cutting out ultra-processed foods are also key factors to keep your heart in tip-top shape. Chlorella is native to Taiwan and Japan is a superfood rich with phytonutrients, including amino acids, chlorophyll, beta-carotene, potassium, phosphorous, biotin, magnesium and the B-complex vitamins. Chlorella is a blue-green algae like its cousin spirulina. Studies have shown that Chlorella benefits the entire body by supporting healthy hormonal function, promoting cardiovascular health, helping to negate the effects of chemotherapy and radiation, lowering blood pressure and cholesterol, and aiding in the detoxification of our bodies. Chlorella’s rich green color comes from a high concentration of chlorophyll. With over 100 nutrients, Spirulina is often described as one of the most complete food source in the world. The American National Aeronautical and Space Agency includes it in their astronauts diet and plans to grow Spirulina in it’s space station. It’s easy to see why. 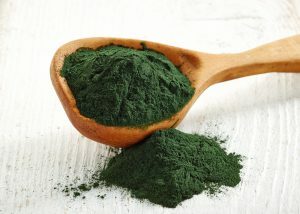 Spirulina contains rich vegetable protein (60~ 63 %, 3~4 times higher than fish or beef ), multi Vitamins (Vitamin B 12 is 3~4 times higher than animal liver), which is particularly lacking in a vegetarian diet. It contains a wide range of minerals (including Iron, Potassium, Magnesium Sodium, Phosphorus, Calcium etc. ), a high volume of Beta- carotene which protects cells (5 time more than carrots, 40 time more than spinach), high volumes of gamma-Linolein acid (which can reduce cholesterol and prevent heart disease). Furthermore, Spirulina contains Phycocyanin which can only be found in Spirulina. Spirulina benefits are so profound that taken on a daily basis they could help restore and revitalize your health! To date, there are nearly 1,700 peer-reviewed scientific articles evaluating its health benefits. Spirulina is blue-green, extremely healthy and often overlooked or misunderstood. 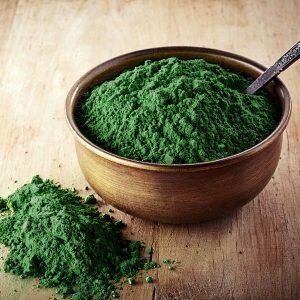 When you look at the chemical composition of Spirulina, it’s no wonder that people who regularly consume it have an abundance of energy. Spirulina has been used in the World Health Organization’s feeding programs for malnourished children in undeveloped countries. A single one-gram dose of Spirulina a day can counteract Vitamin A deficiency that can lead to blindness. Spirulina benefits have been shown to promote the growth of healthy bacterial flora in the intestines, which in turn inhibits candida from thriving. Additionally, the immune-strengthening properties of spirulina will help the body eliminate candida cells. Acai Berry are deeply purple-colored berries are native to Central and South America, especially Brazil where they grow in parts of the Amazonian rain forest. 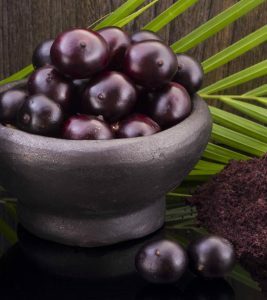 Some studies show that Acai is even richer in protective antioxidants than cranberries, raspberries, blackberries and strawberries, on top of providing many antioxidants, Acai berries are also believed to help control appetite hormones, increase energy, prevent heart disease and help with many metabolic functions. Acai berry is not just a powerful antioxidant – it also supplies electrolytes, trace minerals, amino acids and essential fatty acids. Aloe vera contains many vitamins and minerals vital for proper growth and function of all the body’s systems. It’s used in traditional Indian medicine for constipation, skin diseases, worm infestation, infections by boosting the immune system and as a natural remedy for colic. In Chinese medicine, recommended in the treatment of fungal diseases, and in the Western world, it has found widespread use in the cosmetic, pharmaceutical and food industries. Aloe gel is used for treating osteoarthritis, bowel diseases, fever, itching, inflammation, a natural remedy for asthma, stomach ulcers, diabetes and for soothing side effects of radiation treatment. Because of its anti-inflammatory and laxative components, another Aloe vera benefit is its ability to help with digestion. Aloe vera juice helps digestion, normalizes acid/alkaline and pH balance, lessens yeast formation, encourages digestive bacteria and regularizes bowel processing. One study reported in the Journal of Research in Medical Sciences found that 30 milliliters of Aloe vera juice twice a day decreased the level of discomfort in 33 patients with irritable bowel syndrome. 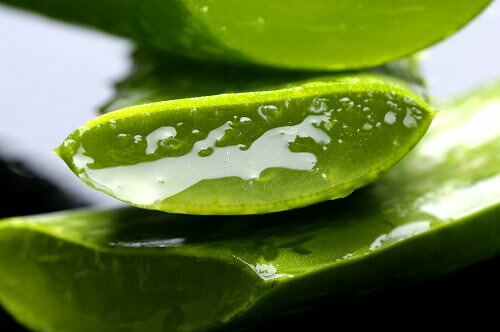 Aloe vera has been used to soothe and heal stomach ulcers because it has antibacterial agents and natural healing properties that can restore the stomach lining back to health. 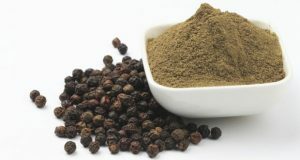 Black pepper is indigenous to southwest India. Ancient trade of this spice between India and the West dates back as early as 1000 B.C. and was quite profitable and is considered the ‘King of spices.’ Black pepper contains a bioactive compound similar to capsaicin called Piperine. This compound helps induce apoptosis, which can keep tumors away. That combined with the anti-cancerous affects of turmeric make this a great combination. Turmeric has become very popular due to it’s amazing healing properties, but researchers indicate that it’s most effective if it’s combined with black pepper. Why? Because the Piperine in black pepper helps the body absorb the amazing benefits of turmeric. Blueberries remain one of the most nutritious, antioxidant-rich types of fruit in the world and have been shown to do everything from enhance brain health to keep your heart strong. Plus, in addition to the long list of health benefits of blueberries, these fruits are also super sweet, low-calorie and delicious. Blueberries are low in calories but loaded with antioxidants, fiber, vitamin K, manganese and vitamin C, along with many other important micronutrients they are a nutrient-dense food packed with vitamins and minerals. Blueberries also contain some niacin, vitamin A, folate, pantothenic acid, zinc, iron, magnesium and phosphorus. Not only that, but blueberries also contain other beneficial compounds, including resveratrol, anthocyanin, phytonutrients and pterostilbene. 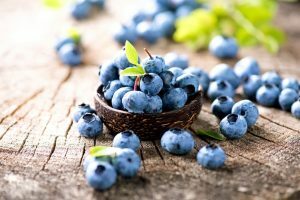 It’s this blueberry nutrition profile that provides all the wonderful health benefits of blueberries. A study in the British Journal of Nutrition, for example, found that supplementing participants with wild blueberry powder increased serum antioxidant status by 8.5 percent after just one hour. Considered to be one of the most ancient and versatile medicinal herbs known to mankind, dried chamomile flowers have numerous, widespread health implications thanks to their high level of disease-fighting antioxidants like terpenoids and flavonoids. Chamomile’s vital antioxidants are found in the plant’s potent oils and are the main contributors to its natural healing properties. As an effective alternative medicine with almost no known negative side effects, chamomile has been used for nearly 5,000 years in standardized tea, herbal extract and cosmetic forms to promote tranquility, vitality, a youthful appearance and longevity. Records show that Chamomile benefits have been recognized for at least 2,000 years as a High Source of Antioxidants, helping to Fight Anxiety and Depression, Improving Digestion, Strong Anti-Inflammatory and Pain-Reducing Abilities, May Assist to Help Fight Cancer, Relieving Congestion, Promoting Skin Health, Keeping Gum and Teeth Healthy and May Improve Heart Health. 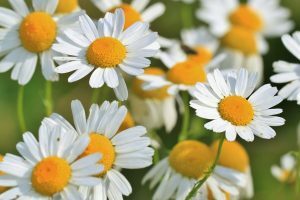 Germans have used chamomile to resolve digestive issues since at least the first century, and records show that Egyptians worshiped the plant and dedicated festivals to its healing properties. Egyptian noblewomen were known to crush chamomile flowers and apply them to their skin to preserve their youthful glow and naturally slow signs of aging. The Montmorency Tart Cherry (“Prunus Cerasus”) is a type of sour cherry (tart) that gets its name from a valley just north of Paris, France. The valley was named after one of the oldest and most distinguished families of the French nobility dating back to the 12th Century. Tart Cherries have a higher content of anthocyanins than sweet cherries and tart cherries also have an array of vitamins and compounds. Some of the vitamins in tart cherries are potassium, calcium, iron, magnesium, vitamins A, C, B6, E, and folic acid and many compounds found in tart cherries including melatonin. In fact tart cherries have 19 X as much vitamin A & beta carotene as strawberries and blueberries!! Tart Cherries contain naturally occurring melatonin, which is beneficial for maintaining healthy sleep patterns. What are the benefits of eating nutrient-dense foods that provide anthocyanin? Montmorency tart cherries are a rich source of anthocyanins, a flavanoid and one of the major group of pigments. 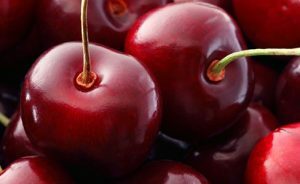 It is responsible for a tart cherries bright red hue and the colours in many other fruits vegetables and flowers. Anthocyanins possess natural, anti-inflammatory properties which can help joint pain caused by gout and arthritis. They also help to maintain healthy levels of uric acid and joint mobility. Cinnamon is a powerful spice that has been used medicinally around the world for thousands of years. It is still used daily in many cultures because of its widespread health benefits, not to mention its distinctly sweet, warming taste and ease of use in recipes. Researchers found that out of twenty-six most popular herbs and medicinal spices worldwide, cinnamon ranks #1 in terms of its protective antioxidant levels! They have also concluded the cinnamon health benefits can be obtained in the form of its pure bark, essential oils, in ground spice form or in extract form when its special phenolic compounds, flavonoids and antioxidants are isolated, making cinnamon one of the most beneficial spices on earth, giving it antioxidant, anti-inflammatory, anti-diabetic, anti-microbial, immunity-boosting and potential cancer and heart disease-protecting abilities. According to the ORAC scale, which is used to measure the concentration of antioxidants in different foods, cinnamon ranks #7 of all foods, spices and herbs across the world. Cinnamon has been harvested from the inner bark of trees called Cinnamomum trees for thousands of years. The use of cinnamon dates back as far as 4,000 years ago to Ancient Egypt. 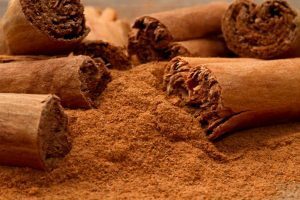 Cinnamon was considered a very valuable and rare spice at this time, frequently being sold at very high costs and given to royalty as gifts or signs of devotion. Cinnamon was also mentioned in the Bible numerous times and was noted for its ability to fight illnesses. Coconut water is the clear liquid found inside a young, green coconut which is usually about the size of a basketball. Ideally, young coconuts are harvested at 5–7 months of age, to contain the most water. The water from coconuts has been consumed for centuries in tropical countries and is believed to treat a variety of health-related ailments. In Sanskrit, coconuts are called “kalpa vriksha,” which means “tree which gives all that is necessary for living.” The primary nutrient in coconut water is potassium. Coconut water also contains a small amount of sodium, about 40 milligrams and up to 10 percent of your daily calcium and magnesium needs. Electrolytes are critical to maintain blood volume, heart health, as well as to prevent dehydration. Maintaining electrolyte levels can help reduce fatigue, stress and help maintain muscle relaxation. 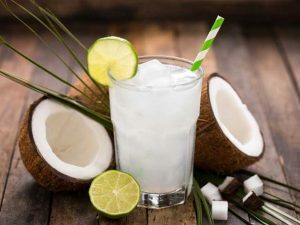 A 2005 study found that when subjects were given coconut water for two weeks, their systolic blood pressure was 71 percent lower and their diastolic blood pressure was 29 percent lower than those who drank plain water. The high potassium content of coconut water has led researchers to investigate the potential benefits for reducing cardiovascular disease risk. Potassium counteracts the effect of sodium in the body, helping lower blood pressure. In certain emergency situations, it has been used for IV hydration due to its high electrolyte content and the fact that it’s sterile if used directly from the inside of the coconut. Cranberries are among the richest in health-promoting antioxidants which protect our cells from free-radical damage. Cranberries are proven to reduce body-wide inflammation and boost immunity. The disease-fighting antioxidants found in cranberries outrank many other fruits and vegetables, including strawberries, spinach, broccoli and red grapes. Researchers believe that cranberries contain substances that prevent infection-causing bacteria from sticking to the urinary tract walls and they are also an excellent source of many important vitamins and nutrients, including vitamin C, manganese and fibre. The health benefits of cranberries are incredible. Inflammation is at the root of many common diseases seen in developed nations, including heart disease, autoimmune disease, cancer, diabetes and more. Anti-inflammatory foods like Cranberries help naturally combat inflammation due to their antioxidants. 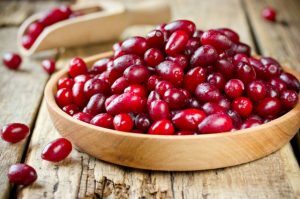 Research has shown that cancer-preventive substances found in cranberries are helpful in preventing breast, colon, lung and prostate cancers. This is due to the fruit being able to help slow tumor progression in both human and animal studies. Antioxidants are essential to optimizing health by combating the free radicals that can damage cellular structures as well as DNA. Growing evidence from various studies suggests that the high content of antioxidant flavonoids found in cranberries and blueberries has the ability to help stop age-related diseases from developing thanks to their capability of limiting oxidative stress. That is why they are some of the top cancer-fighting foods around. This is crucial because sadly many people experience high levels of oxidative stress from ongoing body-wide inflammation caused by a poor diet, mental stress and unhealthy environments. Dandelion has a rich history in its use as a medicinal plant. In fact, the origins of dandelion as a natural remedy can be traced all the way back to 659 B.C. in ancient China. It was also used in Arabic, Welsh and European medicine and was eaten raw or as a juice or tonic. 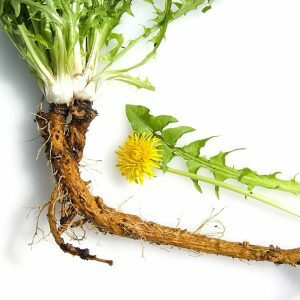 Dandelion root and dandelion greens are loaded with nutrients and boast a variety of benefits to your health. Dandelion is low in calories but high in fiber as well as vitamin K, vitamin A and vitamin C and have also been shown to have some pretty impressive health benefits and may even help reduce cancer growth, lower cholesterol and help weight loss. Dandelion often overlooked as a pesky weed, can actually be very useful medicinally. Dandelion may cause an allergic reaction in some people when eaten or applied to the skin. If you have a sensitivity to other plants in the same family of plants, such as ragweed, daisies or thistle, you may also have a sensitivity to dandelion. Dandelion is high in vitamin K, which may impact blood clotting. If you’re taking Warfarin or another blood thinner, you need to maintain consistent vitamin K intake to prevent interfering with your medication. Because dandelion acts as a natural diuretic, it may affect the excretion of lithium from the body and could lead to increases in lithium levels. Consult with your doctor if you are taking lithium to determine if dandelion is right for you. Tradition tells us that the magi (three wise men) gave the infant King of Israel gifts of gold to honor his royalty, frankincense as a perfume and myrrh for anointing oil. It has also been said that the wise men from the Far East were actually being more practical by giving the baby Jesus these precious, costly essential oils that could double up as potential medical remedies. Research conducted by the University of Leicester in the U.K. has rekindled the theory that the “wise men” weren’t just bringing wealth to Jesus, but medicine. 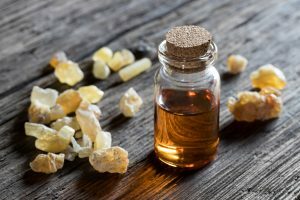 For over 5,000 years, frankincense has had many vital uses that go well beyond just being an anointing oil. 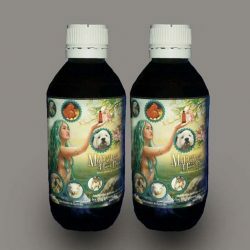 It was used to support the immune system, fight infection and disease, even as a potential natural treatment for cancer. Ginger, one of the most used dietary condiments in the world today, it’s no wonder that the benefits of ginger are pretty impressive. With its zesty, peppery flavor and its extensive list of health benefits, ginger root is equal parts delicious and nutritious. It’s versatile, easy to use and has been associated with everything from beating motion sickness to better brain function. The health benefits of ginger are largely due to its antioxidants, anti-inflammatory properties and content of therapeutic compounds like gingerol, shogaol, paradol and zingerone. 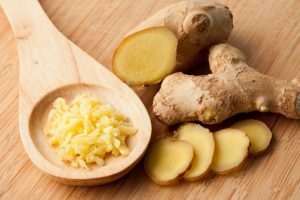 Ginger, also known as Zingiber officinale, is a flowering plant that is closely related to turmeric and cardamom. The underground stem, or rhizome, of the ginger plant is commonly known as the ginger root and is well-known for its medicinal properties. Ginger contains a diverse array of many important vitamins and minerals. It also contains gingerol, a compound with potent antioxidant and anti-inflammatory properties that has been linked to many unique health benefits. Several studies have found that ginger could help prevent the formation of stomach ulcers. In fact, one 2011 animal study showed that ginger powder protected against aspirin-induced stomach ulcers by decreasing levels of inflammatory proteins and blocking the activity of enzymes related to ulcer development. Goji berries have been used in traditional Chinese medicine for over 2,000 years. 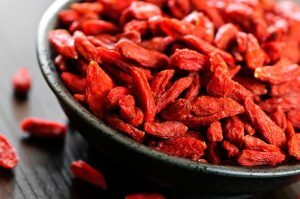 Some legends report that Goji berries were eaten by monks in the Himalayan Mountains thousands of years ago and steeped in hot water to help aid meditation and obtain greater health, vitality, longevity, energy and stamina. Low in calories, fat-free, a good source of fiber and a high-antioxidant food, Goji berry benefits include the ability to help you fight disease, effectively manage your weight and experience better digestion. 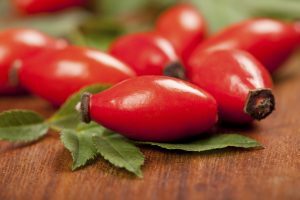 Goji berries – Lycium barbarum – have been extensively researched for their ability to generate general feelings of well-being, improve neurologic/psychologic traits, support better gastrointestinal health and bowel functions, help build stronger musculoskeletal systems, and improve cardiovascular health. Both green and black tea share many of the same benefits. 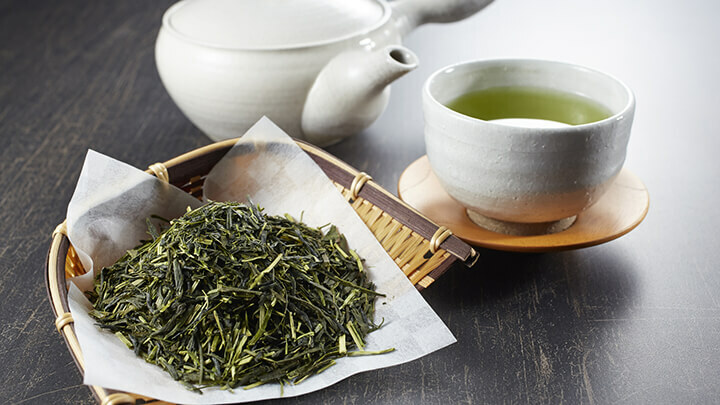 Green tea leaves are dried for a shorter time than black tea leaves before processing, so they keep their greener color. Compared to green tea, black tea is more processed. Green tea has slightly more antioxidants compared to black tea, although both are still great sources. The ORAC value (antioxidant content) of brewed black tea is 1,128 while green tea is slightly higher at 1,253. Black tea and green tea both contain antioxidants, including polyphenols. Some research shows that green tea contains more than four times the catechins that black tea does. Lemon myrtle, (Backhousia citriodora) is basically a flowering plant, native to Australia. This lemon myrtle tree grows up to a height of 60 feet. Other common names are sweet verbena tree, sweet verbena myrtle, lemon scented verbena, and lemon scented backhousia. As the names say, it is heavily aromatic and has a characteristic taste. It contains about 90-98% of citral. It also contains minerals like calcium, zinc and magnesium in good amounts, as well as vitamins A and E. It is widely used as beverages like tea due to its therapeutic values. 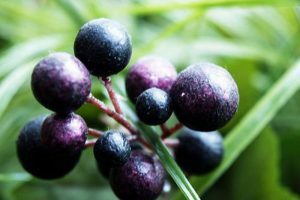 The Australian Aborigines have been using lemon myrtle in cooking, tea and as a remedy for ailments, cuts and abrasions for thousands of years. It is only recently that the medical world has shifted attention to find out more about traditional plant derived medicines particularly the affect on microbial diseases. 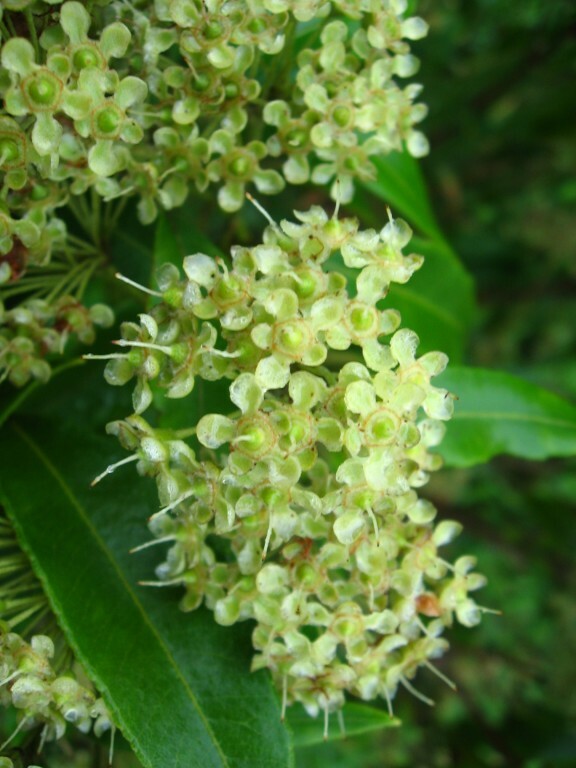 Studies of Australian traditional plants, such as lemon myrtle have already found some surprising qualities in this area which continue to be the focus of research. The Lemon Scented Myrtle is a medium sized native tree of the coastal rain-forest area between Taree in NSW and Cairns in Qld (from latitude 27deg to 17 deg 30S) in Australia. In the wild, trees grow in a range of altitudes from over 50 to over 700m above sea level. Maqui (Aristotelia chilensis) is a type of vibrant purple berry native to Chile. Long consumed locally as a fresh fruit or in juice form. Proponents claim that maqui berry offers numerous health benefits, partly due to substances in the berries (such as anthocyanins, flavonoids, and ellagic acid) that have antioxidant and anti-inflammatory effects. The antioxidant content of maqui berry, measured by the ORAC (oxygen radical absorbance capacity) value, is 19850 for 100 mg of the fresh fruit. In comparison, fresh blueberries are slightly higher at 21080 for 100 mg. Maqui is touted as a remedy for several health conditions, including arthritis and high cholesterol. 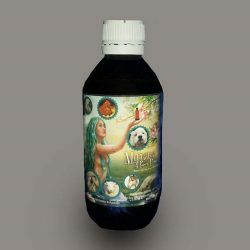 In addition, maqui is purported to protect against a number of inflammation-related diseases (including diabetes and heart disease). 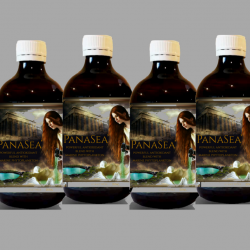 Dr. Juan Hancke, a medical doctor has devoted several years of intensive research into this super berry. He found that specifically, maqui berries contain high levels of anthocyanins called delphinidins, which is also found in violas, delphiniums, and Concord grapes. But in maqui berry, these compounds are found in unusually high amounts. 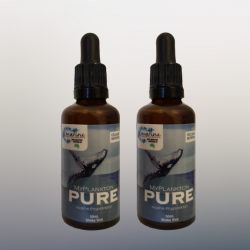 The delphinidins demonstrate potent anti-inflammatory activity, so they help to reduce the risk of a variety of degenerative diseases that involve inflammation. These pigments may inhibit the growth of colon cancer cells. The olive leaf was first used medicinally in Ancient Egypt, and it was a symbol of heavenly power. It is the leaf of the olive tree, called Olea europaea. Olive leaves have been used in the human diet as an extract, an herbal tea and a powder. They contain many potentially bioactive compounds that have antioxidant, antihypertensive, antiatherogenic, anti-inflammatory, hypocholesterolemic and hypoglycemic properties — similar to olive oil benefits. Olive leaf extract is also comprised of phyto-nutrients, such as flavonoids, plus a number of catechins, which all have an impressive antioxidant capacity; much higher than vitamin C and even more than green tea extract. Olive leaf extract contains essential nutrients, such as iron, zinc, selenium, chromium, vitamin C, beta-carotene and a wide range of amino acids. 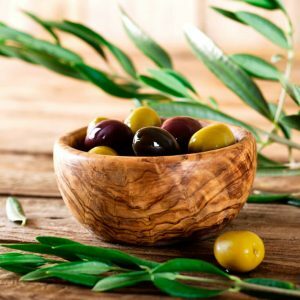 Several studies have shown that coronary heart disease and cancer rates are the lowest in the Mediterranean area because their diets are rich in olives and olive products. A 2015 clinical trial published in JAMA Internal Medicine found that the Mediterranean diet, which is high in antioxidant-rich foods, herbs and oils, improves cognitive function. Because oxidative stress and vascular impairment lead to age-related cognitive decline, which is a strong risk factor for the development of dementia, the use of antioxidants in your daily diet makes a major difference. Of the 334 people who participated in the study, it was the group who followed the Mediterranean diet and took an olive oil supplement (one litre a week) that showed the most improvement after five years. Papaya the “fruit of the angels” This orange-colored, melon-like fruit is native to southern Mexico and Central America but can be grown in most tropical areas. When ripe, it is commonly used around the world to make juice or as a delicious addition to salads, salsa or desserts. Not only that, but it is also commonly used as a meat tenderizer or digestive enzyme as well. Papaya contains a special enzyme called papain. 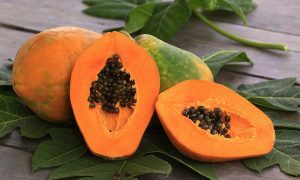 Papain is why it is most known to work as a powerful digestive aid, improved digestion and helping the body to detox aren’t the only benefits of papaya. It can also help improve heart health, reduce inflammation, strengthen the blood and so much more. Like other types of tropical fruit, it’s also high in multiple vitamins, minerals, flavonoids and antioxidants. Plus, it is used around the world to boost overall health in a number of incredible ways. A 2011 study published in the journal of Molecular Nutrition and Food Research found that inflammatory markers decreased when test subjects were given papaya. Researchers found it may help reduce inflammation and relieve symptoms for people with certain conditions, such as rheumatoid arthritis. It is noted, however, that although further research is needed. Papaya is loaded with vitamin C, an important micronutrient that acts as an antioxidant to protect against free radical damage. It also protects against the oxidation of cholesterol, reducing the ability of cholesterol to form plaque along the artery walls. Rose hips are the accessory of a rose plant and edible. They are more than just something you can eat, they are something that can provide a major boost of valuable nutrients. Rose hips are naturally very high in vitamin C while also providing many other beneficial active plant compounds like phenols, flavonoids, ellagic acid and lycopene, along with other key nutrients like vitamin E and even fatty acids. Rose hips have been used traditionally as medicinal compounds for the treatment of a wide variety of diseases, research points towards the ability of rose hips to provide anti-inflammatory benefits, which are particularly helpful when it comes to arthritis relief. Turmeric is a highly versatile spice that can be used in many different ways. Turmeric is also a potent medicinal plant that belongs to the same famly as Ginger. These days the uses of Turmeric (Curcuma longa) extend way beyond the spice shelf. At the root of the multitude of Turmeric benefits is Curcumin, a chemical that’s responsible for its powerful anti-inflammatory and antioxidant properties. 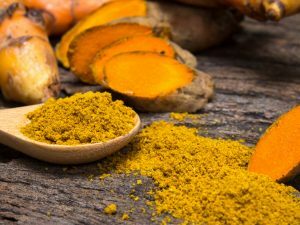 While adding Turmeric to your diet can definitely bring some big benefits in terms of nutrition, going straight to the source and getting in a concentrated dose of curcumin is even better. This incredible compound can influence just about every aspect of health inside and out, from your skin all the way to your brain. Wheatgrass is the young grass of the common wheat plant called triticum aestivum. 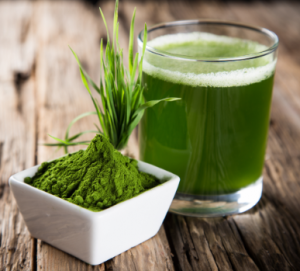 This gluten-free edible grass is either juiced into a “wheatgrass shot,” or milled down into a fine green powder that’s used to create a multipurpose product for both humans and animals. Some experts claim that wheatgrass contains over 100 different elements needed by man. One of the most important nutrients in wheatgrass is chlorophyll. Chlorophyll is the substance that gives wheatgrass its signature, bright green color. Like other nutrient-dense greens, it’s used in the human body for a number of important processes: It’s a natural liver cleanser and detoxifier, acts like an antioxidant to reduce free radical damage, is a blood strengthener (it has a similar chemical composition to that of hemoglobin,) and can help give you a boost in energy but chlorophyll is not all wheatgrass has to offer. Wheatgrass benefits also include being loaded with amino acids (the building blocks of proteins), enzymes which are needed for digestion, and many vitamins and minerals needed for disease-free living. Wheatgrass provides vital alkalizing benefits for the body, along with increasing absorption of nutrients like electrolytes, vitamin C and vitamin E. Creating an alkaline environment is essential in the fight for the prevention of all chronic diseases and cancers. Grapes nutrition provides longevity, may help reduce obesity and type 2 diabetes, contains lots of antioxidants, exhibits anti-inflammatory action, helps keep your cardiovascular system in good shape, may help prevent cancer, boosts brain function, and provides antimicrobial benefits.With all the talk about sugar these days, many have concerns about the calories and carbohydrates found in grapes, but the benefits of grapes nutrition far outweigh those concerns. 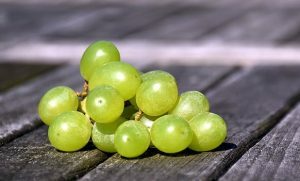 Vitamin C and manganese are two important nutrients to note, particularly given that grapes are some of the highest-concentration vitamin C foods around, but grapes are filled with antioxidant phytonutrients that range from common carotenoids, like beta-carotene, to unusual stilbenes like resveratrol. In fact, the number of different antioxidant nutrients in grapes would take awhile to list. Although the entire grape is useful to our bodies, the seed and the skin contain the richest concentration of antioxidants. 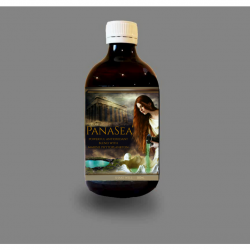 These Amazing Potently Powerful Ingredients are all found in PANASEA ! Copyright 2018 | Website Design By Creative Ground.